The Oxford University Press, 1959 741 pp.with B&W portrait of the author frontis. Translated from the French by Henry K. Beauchamp. Text is clean and unmarked, tight but shaken. DJ is soiled with a small closed tear. In mylar jacket. 8vo - over 7¾" - 9¾" tall Size: 8vo - over 7¾" - 9¾" tall. Third Edition.. Hard Cover. Good/Good. Dust jacket present. Oxford: Clarendon Press, 1906 741 pp. witha B&W portrait of the Abbe frontis. 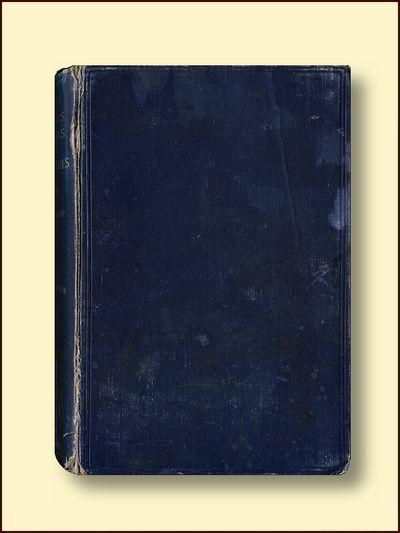 Subtitled "Translated from the Author's later french MS. and Edited with Notess, Corrections and Biography by Henry K. Beauchamp, CIE." Originally published in 1815, this edition contains a brief biography of the Abbe Dubois ( 1770 - 1848) and an essay on his methodology as viewed from the end of the 19th Century. Text is clean and unmarked, yellowed. Both front and back boards are cracked at hinges but holding. Previous owner's name on flyleaf. Blue cloth boards with gold-stamped title on spine are rough. 8vo - over 7¾" - 9¾" tall Size: 8vo - over 7¾" - 9¾" tall. Third Edition.. Hard Cover. Fair/No Jacket.